These little gems are awesome! 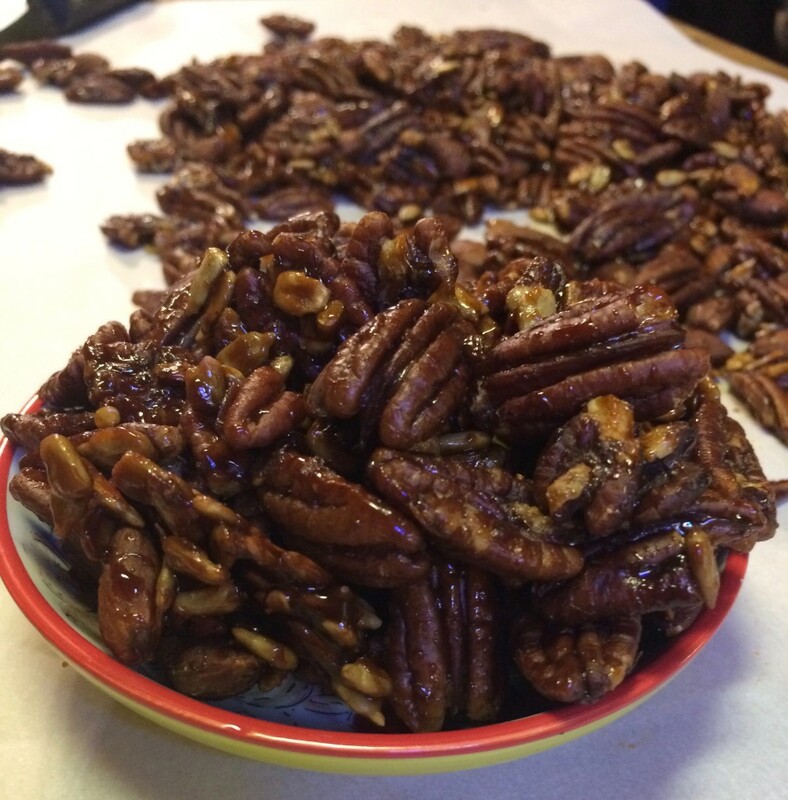 I never knew how easy it was to make glazed nuts, and wanted to use up the last of the nuts in the cupboard from our gluttony around the holidays. Now, we can eat these by the handful, or chop them up and top a cake or ice cream with something with a little bit of zing. I have had excellent luck getting my little chefs to eat salad with these added to the top. On to the recipe!! Combine all ingredients and bake in a 350 degree oven for 20 minutes. Stir after the first 10 minutes. Pour baked nuts over parchment until cool. Store in a glass jar, although they won’t last long.